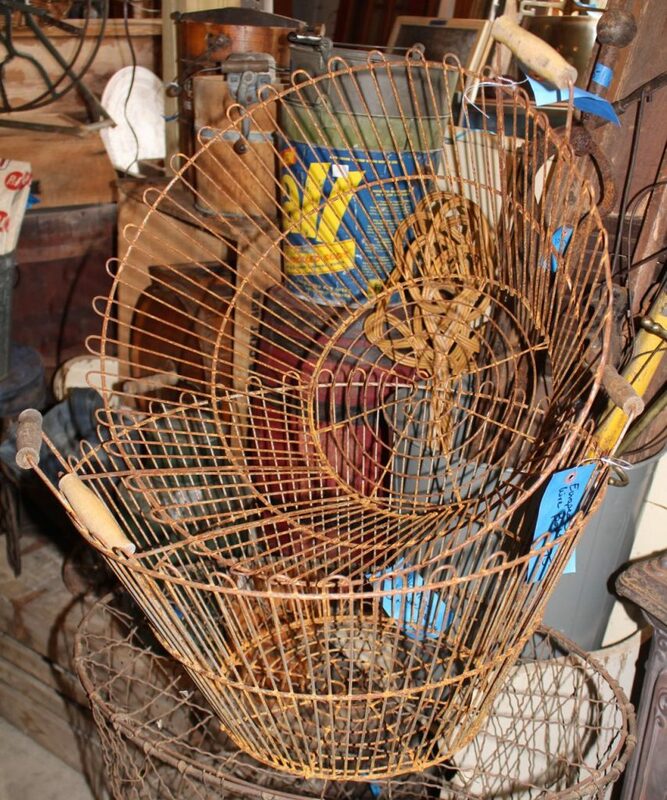 These European wire baskets are quite large so they were probably used for gathering fruits and vegetables. Wooden handles. Sturdy wire construction. Priced individually.